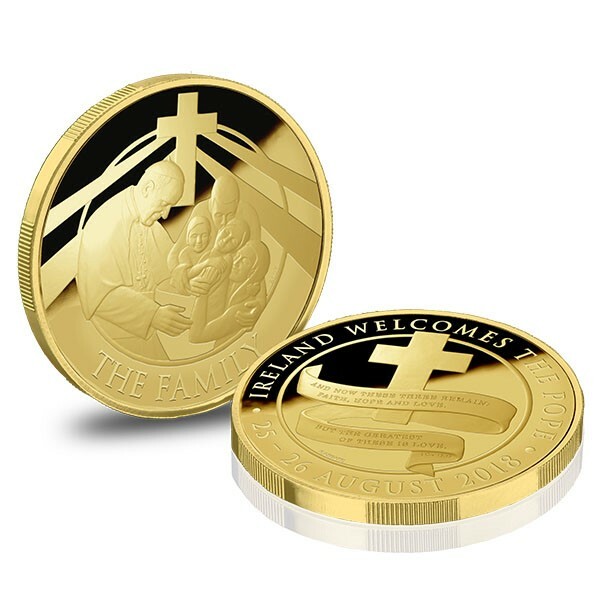 Thank you for your interest in the Ireland Welcomes the Pope Celebration Medal. Upgrade to the Premium Pack and have your Celebration Medal beautifully layered in 24-carat Gold. Due to strict limitation, this one-time offer is ONLY available to 20% of customers who order the medal, and costs just €19.95 (plus €3.95 P&P).